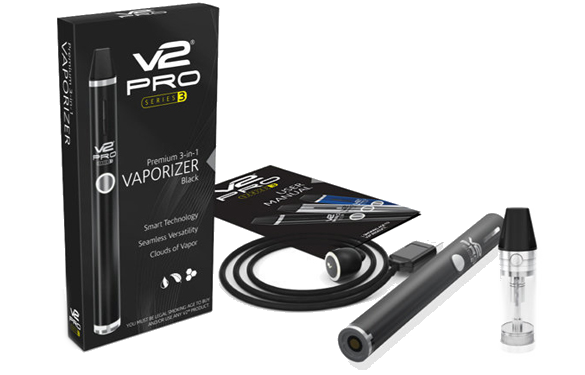 V2 has just added a new portable vaporizer to their 'Pro' line which includes the popular series 3 and series 7 devices. The Series 9 is the newest addition added just recently in 2017. The V2 Series 9 has been in the works for a number of years. You can see concept images online dating to 2014 of the V2 series 9 device. The final model that will soon be released looks a little bit different than their original designs. In order to provide the space required for an effective touch screen interface the final design had to be rethought a bit. Continue reading our V2 Pro Series 9 vaporizer review below to find out the new features and capabilities of the new device. The V2 vaporizers are some of the most well made vapes available today. Features you can expect with their devices are smart technology that enables the deice to recognize each cartridge type and warm up to the optimized temperature automatically. Their devices offer magnetic connections for easier and faster use. The V2 vapes unlike most other portable vapes are able to continue working even when plugged in to charge. The V2 Series 9 is in the high end of the mid price range zone for portable vaping products. It is currently set for the V2 Pro Series 9 to be priced at $299US, but can be purchase now through pre order for 30% off at just $209.99. For the amount of versatility that the V2 products offer this is still a reasonable price to ask. The Series 9 comes with some extra features that the Series 3 and Series 7 do not. Currently the Series 9 is only available in 2 colors, a crimson burgundy color and black. The series 9 has a new touch screen app controlling screen that is app enabled and can be controlled by bluetooth. Amoung the things you can control with the bluetooth are changes to the voltage, temperature, airflow, and cut off time. The pieces of the Series 9 are made very simple and are quick to do everything with. From using the controls to reloading, to the magnetic mouth piece and magnetic charging cable, everything is fast and simple. For those of you who did not like the small size of the series 3 and series 7 ovens, you will be happy to know that the Series 9 includes a much larger one. Another cool new feature is that the new design offer a part of the casing to be transparent which allows you to view how much material remains in your device. 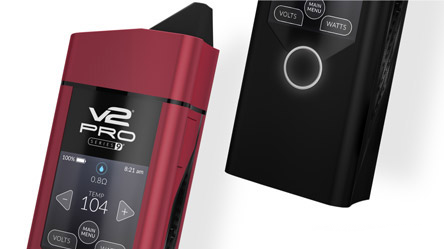 The V2 Pro Series 9 is one of the most advanced portable vaporizers on the market today. 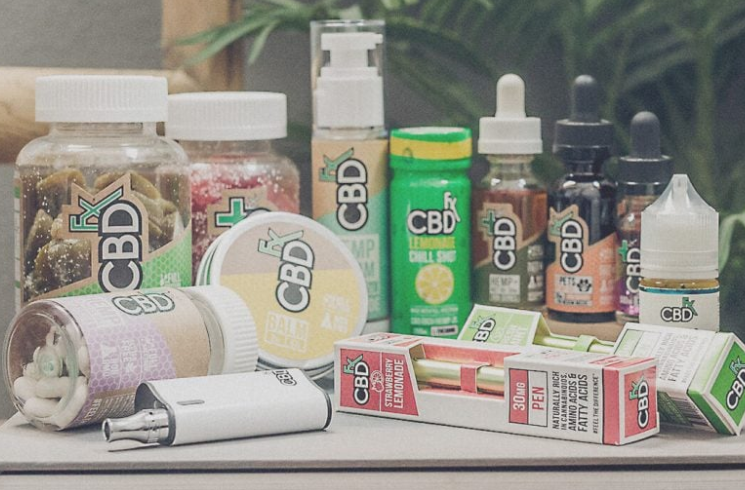 There are not very many portable vapes that are currently integrated with Bluetooth technology or many that have touch screen components that can vape multiple types of materials. If you are looking for one of the newest and best portable vaporizers for your dry herbs and concentrates than the Series 9 might be it. With the Series 9 you are able to keep track of your hit counts and other usage statistics. The touch screen allows you to also program various voltage watts, temperature settings, airflow, and cut off times. The Series 9 is not yet available and will be in August at the earliest. You are able to pre order yours now for a discount price of $209.99 here from the offici﻿al site V2 Site. The V2 Pro Series 9 vaporizer is a new multi function vaporizer with a powerful 3000 mAh battery and variable output of up to 60W. 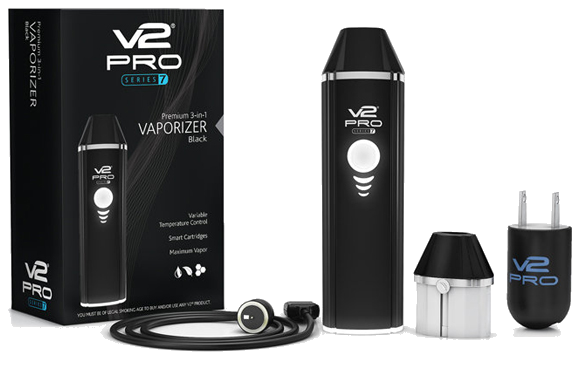 The V2 Pro Series 9 is a smart vaporizer that boosts an intuitive 1.5” touchscreen display. The V2 Pro 9 or V2 PS9 has notification indicators that buzz and vibrate letting you know certain things that are going on that require your attention with the device. 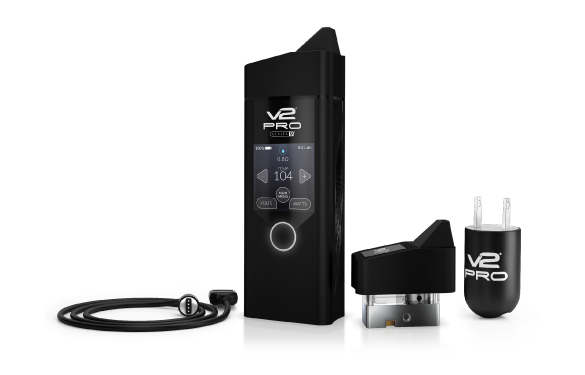 The V2 Pro Series 9 uses smart cartridges that communicate with the patented VMR Operating System to track temperature, voltage, wattage, puff count, cut-off times etc. The Series 9 kit includes a 510 Adapter with a max output of 60W. Being released at the beginning of 2018 will be the V2 Pro Bluetooth App which gives your device and your smart hone or tablet connectivity. The V2 app will be for android and apple devices and will be available in 2018 first quarter. The V2 Pro Series 7x will be released before the app, so it will be an extra treat for the 7x users once it becomes available. Here you can also view the Series 3 and Series 7 devices made by V2. V2 Pro Series 9 Vaporizer Review - This vaporizer is not yet available ad the current release date that we see is set for April 2018. Thanks for reading our product review for the new portable vaporizers released by V2 vapes. To read more portable vape reviews on new and innovative products you can subscribe to our free e-newsletter below. 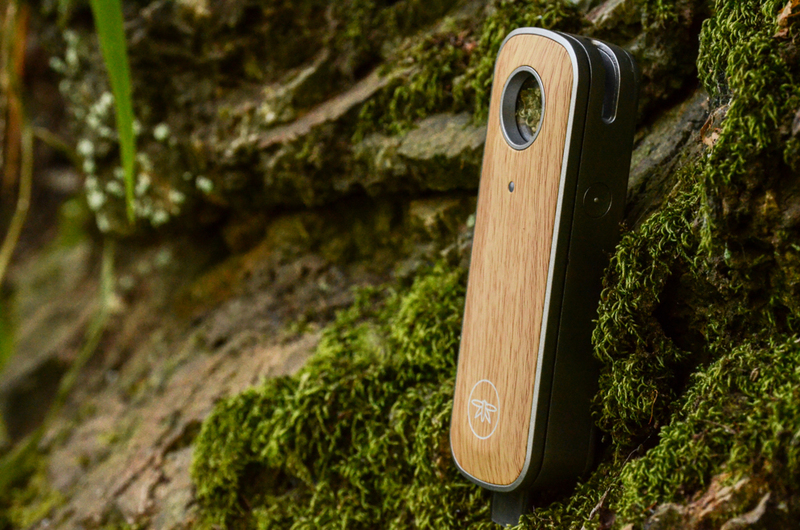 Here is one of the most popular devices currently on the market that you may wish to look more into - the Firefly 2 for dry herbs and wax concentrates.